Q.) 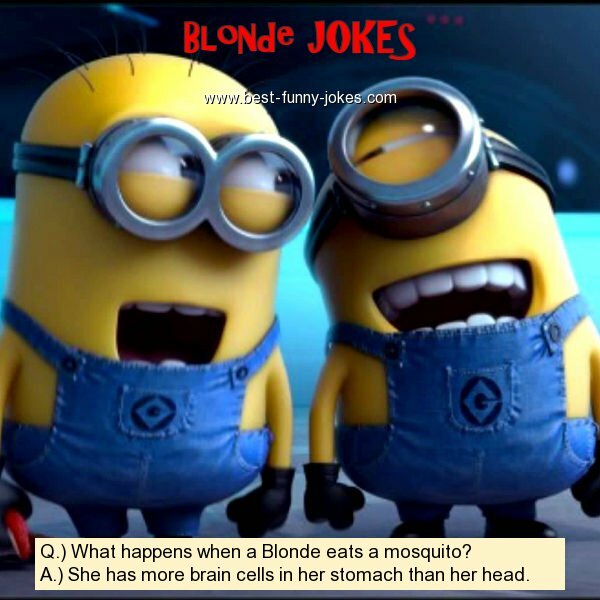 What happens when a Blonde eats a mosquito? A.) She has more brain cells in her stomach than her head.